Abubakar Khan, known more famously on social media as The Chosen Khan, grew up surrounded by empaths, immigrants, and activists. His great uncle built the first mosque in B.C. His grandfather pulled together the multicultural community in Greater Vancouver and witnessed the Komagata Maru incident. And when it came for Khan’s time to get involved in advocacy, he started by having a face-to-face conversation with a stranger every day. Over the past two years, he estimates that he has done this with about 700 people. One example of that is his podcast, also entitled The Chosen Khan, which developed out of the conversations he had during these meetings. Rather than attempting to tell their stories for them, he decided to invite these people onto the show to share their experience firsthand. According to Khan, covering sensitive subjects like this has been an opportunity to bring people together in a city that he considers to be largely divided. A major part of his work is striving to get rid of the “echo chambers” within each municipality and community. Beyond spreading awareness, he and his team have been working for years to make a physical difference in the community as well. In 2016, when opioid overdose deaths were starting to rise exponentially, they opened up his grandfather’s mosque during the winter to give out care packages to those in need. 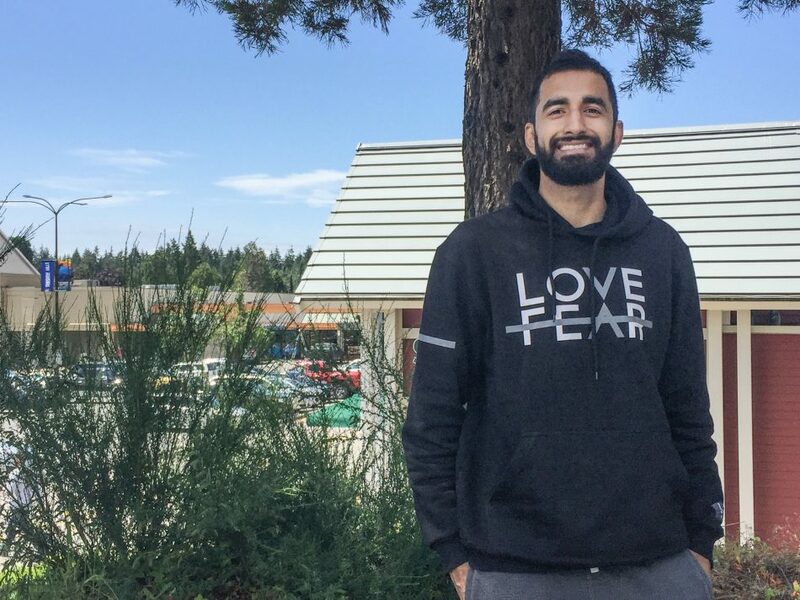 When that got international attention online, he started planning awareness campaigns—for instance, Khan spent a week living on the streets of UBC. They created a charity for refugee children and regularly attend rallies and protests around Vancouver. Regardless of the medium it’s executed through, talking publicly about ideas that are often swept under the rug is at the core of The Chosen Khan. Doing this through content creation is what he feels is the best approach in a generation that’s impacted heavily by what they see in the media. Recently, he used this approach to start a conversation about gang violence in Surrey. On June 4, Jaskaran Singh Bhangal and Jaskarn Singh Jhutty were found dead with gunshot wounds. Bhangal was 17 and Jhutty was 16. Three days later, The Chosen Khan published a video called “We Killed those Kids” that got over 2,500 views and incited a long dialogue online. In it, Khan argues that each member of the community needs to take responsibility for the many causes of gang violence in Surrey. Khan is planning to run for Vancouver City Council in the upcoming election. Based on the belief that “we need to be in the room to be able to make changes within the system,” he’s hoping to be elected at only 24 years old.